I’d like to write more about this subject, but since it’s been a day of doctor visits and alternately icing and heating my back and neck muscles so I could move around (after my almost gluten-free Thanksgiving food), I will write less. This morning, after waking up even more stiff than yesterday, my husband and I were discussing Maslow’s hierarchy of needs and we determined that we need to go back to the beginning. The basic idea is that physiological needs come first (food, air, sleep, etc.) and then all the other needs come after those basic needs are met. While I would love to stay up in the upper portions of this pyramid, this Celiac thing has really thrown me for a loop, and I have got to throw all of that out the window (or at least put it on the back burner) while I get a handle on what the new version of meeting my physiological needs looks like. I spent two hours talking with my new nutritionist/Registered Dietician today about how to use food to heal my body, and I’m looking forward to implementing the changes we discussed. … Actually, that’s not true. I’m looking forward to feeling fantastic because of the changes I will be implementing. The actual implementation seems like it’s going to be hard. Or at least challenging. 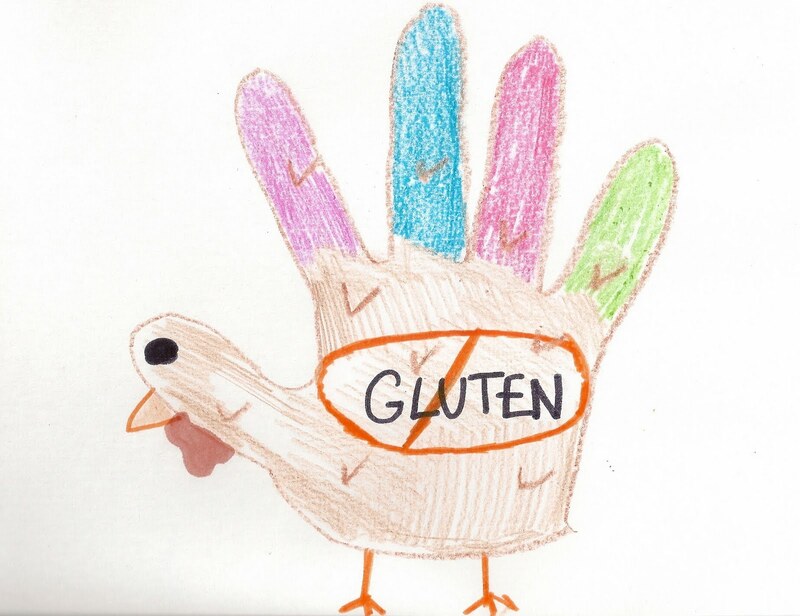 I guess I spoke too soon last night when I said that I didn’t get sick after eating the wonderful gluten-free Thanksgiving dinner my family took so much care to make. I woke up this morning with a headache again, I look about 3 months pregnant, and my muscles have slowly stiffened up throughout the day to the point where I’ve lost about 70% of the range of motion in my neck. In fact, I can barely manage to write this post and I need to lie down, so this will be short. It seems RIDICULOUS to have to be so careful when preparing my food, but there are apparently many, many ways that gluten can sneak into your food without you knowing it. I hope I can figure it all out soon, but until then, I guess I’m going to have to just bring my own food everywhere I go and make sure that I’m the one who prepared every speck of it. Not exactly sure how I’m going to do that, but that’s the only thing I can think of to do right now. It’s more than a little frustrating. I don’t have anything uplifting or insightful to offer you tonight. Just be UBER-grateful when you eat your turkey dinner on Thursday that you can gorge yourself without too much thought as to what exactly is in those mashed potatoes. I am stuffed. In a good way. My family (and especially my mom) is so awesome and went the extra mile to make almost all of the Thanksgiving food we had today gluten-free and dairy-free so I could enjoy stuffing my face with everyone. and giant coconut flakes (to snack on while we prepped food). Thanks awesome family for making yummy yummy things for all of us to eat! I’m getting kind of tired of being “conscious” every single day. Mindfulness and inspiration become trite when you write about them every day. I want the things I write to be worthy of your time, but I just don’t think I have something of that magnitude to say to you that often. I’m sure you have better things to do with your Saturday night than read something that leaves you feeling resentful of the five minutes you spent reading that you will never get back. If you’re like me, you have a life to live outside the blogosphere. You have crayons to pick up for the 170th time this week. You have Thanksgiving Dinner Preparations to make. You have sibling rivalry to attend to. You have seven different stores to shop at for your newly required gluten-free diet. Oh my gosh. Is this what I have done with my Saturday? That’s kind of a bummer. I hope you’re doing something fun with your Saturday. Not everything about today has been a bummer though. The kids and I were listening to some music in the car today, and it was a total riot! 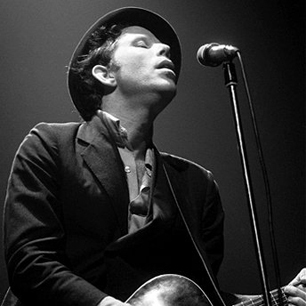 My 4-year-old boy’s Elvis impersonation sounded a lot more like Tom Waits, which was funny enough, but then I switched the CD to Waits, and after listening to (and singing along with) his gravelly growl in Heart Attack and Vine for several minutes, my 7-year-old daughter said she knew why his last name is Waits… because he sounds like he’s lifting really heavy weights when he sings! This story is for you, dear lovely reader who loved the tampon story so much it made you snort. 😉 Here’s another story for you. Once upon a time, when I was in college, I had just returned from a long day preparing for my last few days of finals. It was the day before my final Children’s Literature paper was due, and I walked into the bathroom to freshen up when literally out of nowhere, one of those sharp, pokey things that stick out in a 1980s textured ceiling inexplicably became detached from its 20-year-home on the bathroom ceiling and landed directly in my right eye. I wasn’t looking up even. Just walking straight. It was like time and space had aligned themselves so perfectly that somehow the ceiling fragment dropped exactly as I walked right into it, and my eyeball caught it mid-fall. I stared into the mirror and blinked in every imaginable way to try to get the thing to dislodge. I tried to wash it out. I tried to cry it out. Nothing worked. I thought, “Ugh! I don’t have time for this. I have to write my Children’s Lit paper tonight!” I was just going to suffer through it, but I called my dad (who is a nurse) to see if there was anything I could do so I could just get to writing my paper. He told me to go to the ER. “You don’t have time to go blind either!” he admonished. I was SO annoyed with him — and with the tiny piece of 1980s ceiling trapped in my eye — but he was right, so I went to the ER. The doctor there was very good, and it didn’t even hurt at all when he basically took a Q-tip and took the stupid thing right out of my eye like it was an eyelash. They sent me home with Lortabs for when the numbing medicine would wear off, and told me to keep my eye closed for several hours. Several hours? I had already been at the ER for several hours, and I still had my Children’s Lit final to write. How was I supposed to keep my eye closed for several more hours? Well, I’ll tell you. An eye patch. And since I didn’t have time to figure out where the nearest pirate supply store was, I downed my Lortab, took my gel eye mask out of the fridge, and placed it crookedly over my head so it covered only my wounded eye. The cool gel pack felt great on my eye, but I looked a little bit drunk and ridiculous. Pretend this is crooked on a messy curly-haired head. And then I went to the computer and wrote my term paper until all hours of the night, half high on Lortabs. I woke up in the morning, still underneath the chair, warm gel mask still around my now very messy hair, still appearing very drunk. And my final wasn’t all the way finished. I did actually have my wits about me by this point though, so I raced back to school (sans eye-patch, but still wearing the clothes from the day before) and did the best I could to pull everything together in less than an hour. Okay, so it’s not nearly as great of a story as the tampon one. But I hope you enjoyed it anyway. Does it count for NaBloPoMo if I reblog my own post from way back when? I read it this morning and darn if it wasn’t some pretty good advice! 🙂 I’ve been feeling the same lack of connection with my kids the last several days, and maybe I need to do the same thing I did in this old post: let go of all of my expectations for what I “should” be doing, and just embrace the present moment and connect with my kids, even if it’s just for a few minutes. If it’s anything like the last time I had this epiphany, those tiny minutes will make a big difference. I’ve had a busy, let’s say… emotionally diverse day, which ended with the kids chasing each other around half naked — screaming at each other over an hour past bedtime — and one pair of poopy underwear (not mine, in case you were wondering). I was SO done with the day, and I just wanted the kids to go to bed as fast as possible. But as I was trying to get them to bed and wishing that they would just shut up already so I could go downstairs and work on my blog about being an awesome mom, I made a conscious decision to let go of what I wished was happening and instead embrace the present moment. See, I had this healthcare reimbursement account through my employer. If you’re not familiar, it’s the type of thing where you put pre-tax money into an account from your paychecks all year, and then you can get reimbursed for lots of medical things, which if you use it right, can save you lots of money in “pre-tax” ways. The only thing is, it’s a use it or lose it deal. At the end of the year I had $400 left in my account, and I wanted to know how I could use it. So I called the company who administers the program, and asked the service rep what I could do to spend the money. We went over the typical things you can use the account for: co-pays, prescriptions, canes and crutches, eye exams, wheelchairs, etc. He chuckled and then thought for a minute. He said that they had just recently added an over-the-counter clause to the rules. He wasn’t a hundred percent familiar with it, but he quickly read through the clause and read off a list of some of the things that would now be covered. “Yeah, that’s what it looks like,” he said. 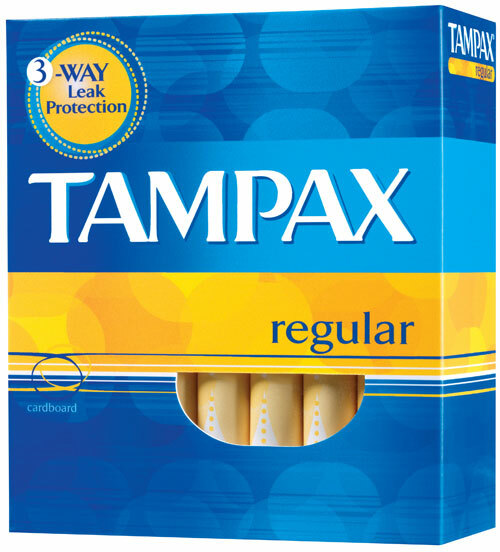 So, of course, I went to Sam’s Club and bought five CASES of tampons. Seven 100-packs per case. Nine years supply, if you were wondering. I was 28 at the time, and once you add in several years of pregnancy and nursing, I was pretty much set for life. And of course — and I know you don’t believe me and you think I’m making this up, but it really, truly happened — of course, as I pushed my cart of tampons, stacked to capacity, to the checkout line, there directly in front of me was my old neighbor from the neighborhood I grew up in. I’ve known her since I was in junior high, but I hadn’t seen her in years. She was with her daughter, Brooke, who is just a year or two older than me, and who was the beautiful, popular girl I had looked up to in my teenage years … and who was always a few steps ahead of me in dating and boys and everything else. They saw me, so I had to say something. “Hi Nancy,” I said. I was too embarrassed to do anything but just smile at Brooke. We tried to have small talk, but it was just too weird. Very awkward with all those tampons right there. So she finally left. Then it was the cashier’s turn. “Are you doing some sort of fundraiser?” she asked super sweetly, trying to act like it was the most normal thing in the world for someone other than a supplier to buy 35 giant boxes of tampons. Again, another awkward attempt at small talk. Just give me my receipt, and I’ll be on my way, thank you. At least I’m getting reimbursed. Finally, the cashier gave me my receipt, and I hurried out of the store. I pushed my cart of embarrassment through the slushy parking lot as fast as I could. As I loaded my newly acquired lifetime supply of tampons into my car, I tried to stack them strategically so other drivers couldn’t see them as they drove past. I’m getting reimbursed. I’m getting reimbursed. When I turned in my reimbursement form, they denied it, saying that tampons are not medically necessary and they do not alleviate pain or discomfort. I’m sorry, but whoever made up that little rule has obviously never menstruated. Tampons absolutely alleviate the discomfort of wearing those bulky adult diapers we call maxi pads. I appealed their denial and they denied it again, but I was not going to give up on my $400. I had a deposit on wedding photography to put down. I appealed their denials so many times that they finally gave up and just gave me my reimbursement check, but not before explaining explicitly that tampons are not covered, so don’t do it again. No worries. I have a lifetime supply of tampons. Not a bad dowry for my husband, don’t you think? I’m tired and my brain is foggy. I called the skillet a skittle earlier today. My “why” for doing the NaBloPoMo challenge was because I know that I’m supposed to be writing this blog for some reason, and I thought that participating in NaBloPoMo would be an easy way to step up my game on the blog. The reason I am posting again today even though it is 11:00 p.m. and I’m so tired that the room is spinning is that I am tired of saying I’m going to do something and then backing out when it seems like it doesn’t matter anymore. I think it does matter, even if the only reason is so that I can prove to no one but myself that I can follow through on something I set out to accomplish. I’ve been really tempted the last few days to just give up on trying to post something every day for the NaBloPoMo 30-day challenge. What I’ve been thinking about today is how important it is to know why we do something. Being a Conscious Mom (or a Conscious Person, for that matter) means that you think about the reasons why you are doing something before you do them or continue to do them. When we know why we are doing something (the real, deep down reason why, not just the reason we tell ourselves and/or everyone else), it makes it much easier to muscle through the tough times when you feel like giving up. Or maybe it makes it much easier to stop doing something if we realize that our reason for doing it is less than ideal. So why did I decide to participate in NaBloPoMo? I don’t know, really. It was totally on a whim. I didn’t even know about it until the first day of the challenge, so I just jumped right in. And now I’m at that point in the game where I usually just throw in the towel. (Remember #9 on my list of 10 Things I Don’t Want You to Know About Me?) And I’m sure the reason I want to jump ship is because I never had a solid WHY to my decision to post something Every. Single. Day. I’m going to sleep on it and figure out what my purpose really is in wanting to participate in NaBloPoMo. And I promise to get back to you tomorrow. 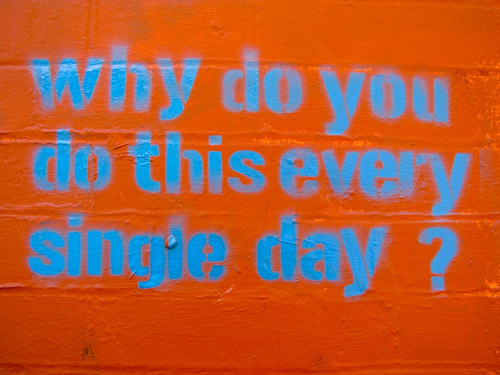 So what’s your why? Anybody else out there in NaBloPoMo-land having the same struggle? Have you seen this guy? 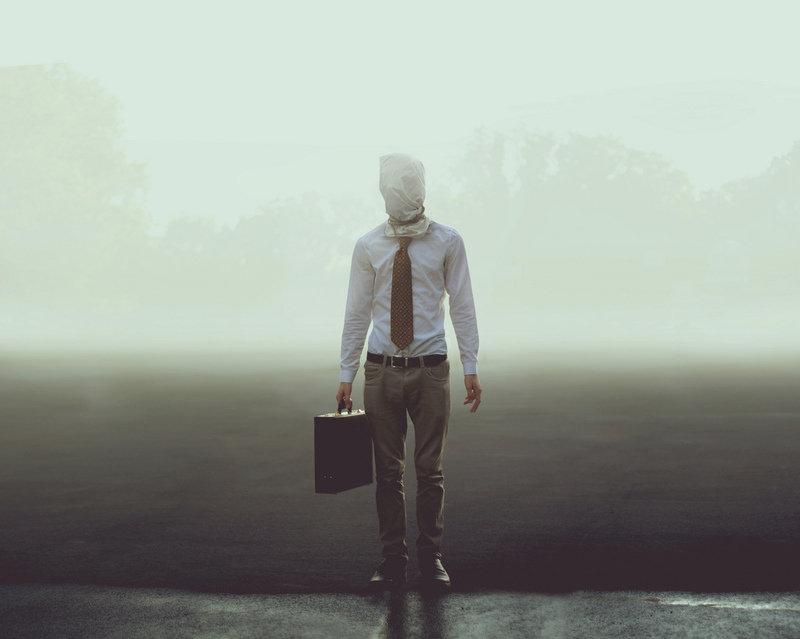 Kyle Thompson is a former pizza delivery guy turned photographer, and his work is amazing. This one is my favorite I’ve seen so far. The thing I love about his story is that he wanted to be a photographer, but he had some social anxiety, so he thought he couldn’t do it at first. But he just started taking self-portraits instead, and after he posted some of his work to Reddit and got over 4 MILLION views, he decided to quit his pizza delivery job and be a photographer full time. I love this quote by Joseph Campbell who said, “Follow your bliss. Find where it is, and don’t be afraid to follow it.” He also said, “Live from your own center.” I love it. These quotes and Kyle’s photography inspire me to dig down and find out what my own center is and what my passions are in life so I can try to live true to them. I know one of them is motherhood and one of them is writing. Hence the blog. 🙂 But I’m sure there are others hiding in there somewhere. So what are your passions? Where is your center? And are you living true to them?